Some people will only take one cruise in their lifetime to mark a special event like an anniversary or honeymoon, others will take a cruise every year or have at least taken more than one in their lifetime. If this is your first cruise there will be a lot that is new to you. 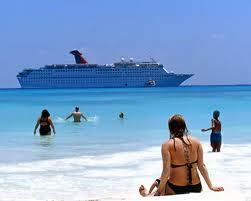 A cruise is a very memorable and magical vacation. Here are a few tips to help you make your first cruise memorable in a good way. Cruise vacation packages are the best way to go. Do your research well ahead of time and pick the best deal that will offer you everything you want to see and expect to do. With all of that bundled into one affordable price all you have to do after that is sit back and enjoy. When booking a cruise, if you have children, check to make sure you aren’t booking a cruise for adults only. If you are a couple and would rather not have children around then make sure your cruise will be for adults only. This is one thing you really don’t want to mix up. I suggest you book the second seating for dinner. That will give you more time for sightseeing on shore and you won’t have to rush back so you don’t miss your meal. If you are traveling with kids then I suggest you book the first seating because everyone knows that kids have an internal need to eat at a certain time or things get ugly. The cruise ship will offer to take professional photos on the cruise and then try to sell them to you. Don’t buy all the photos immediately. Toward the end of the cruise the price will drop considerably and you can buy them then. If you don’t like crowds or want privacy for a majority of the cruise, get a cabin with a balcony. This type of cabin is a bit more expensive but it will give you a place to go to be alone and relax. There are dress codes on cruises even if most don’t mention it on their website or in their brochure. It’s better if you abide by them, so take a nice set of clothes along just in case. There is always an event or something to do on a cruise and I’m sure after spending as much as you did for the vacation you’ll want to take advantage of everything that interests you. Spend some time and read through all of the brochures and material you can find on your cruise to make sure you don’t miss a thing. A cruise is a very memorable vacation and like it is with any vacation you can’t afford to waste your hard earned dollar, so do your research to find the deal that will best fit your budget and your interests. Then after finding the cruise for you do more research to make sure you will be able to take advantage of everything they have to offer.